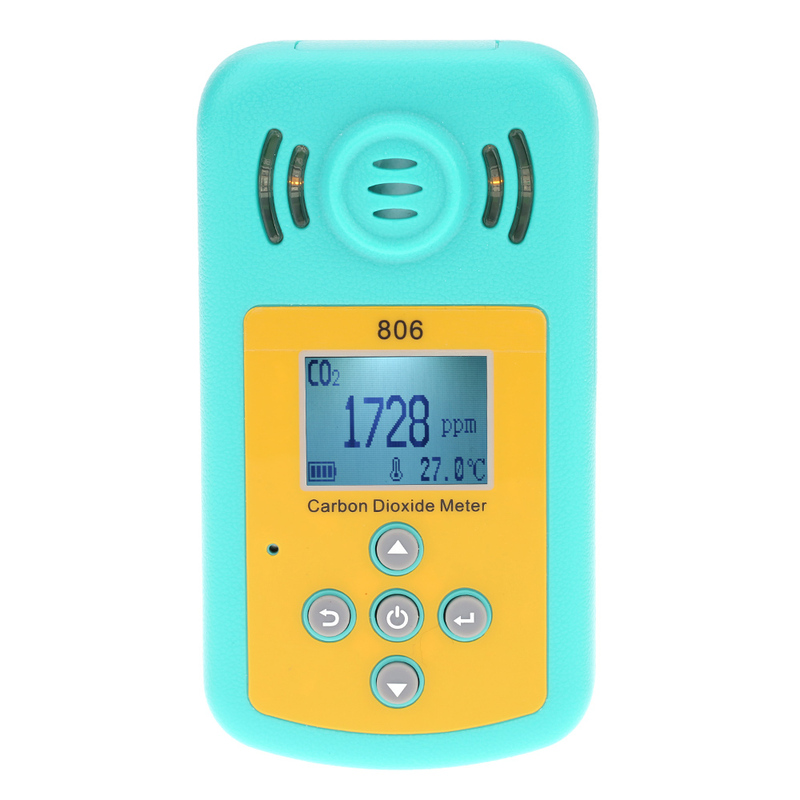 Portable carbon dioxide detector with compact size and light weight is easy to carry and operate. 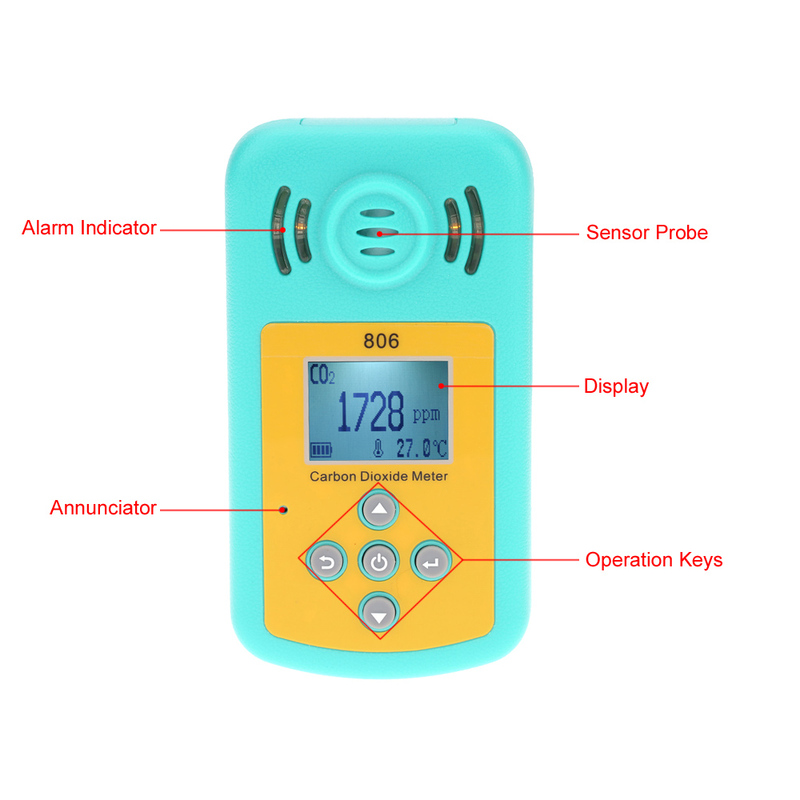 It can display carbon dioxide concentration and temperature at the same time. 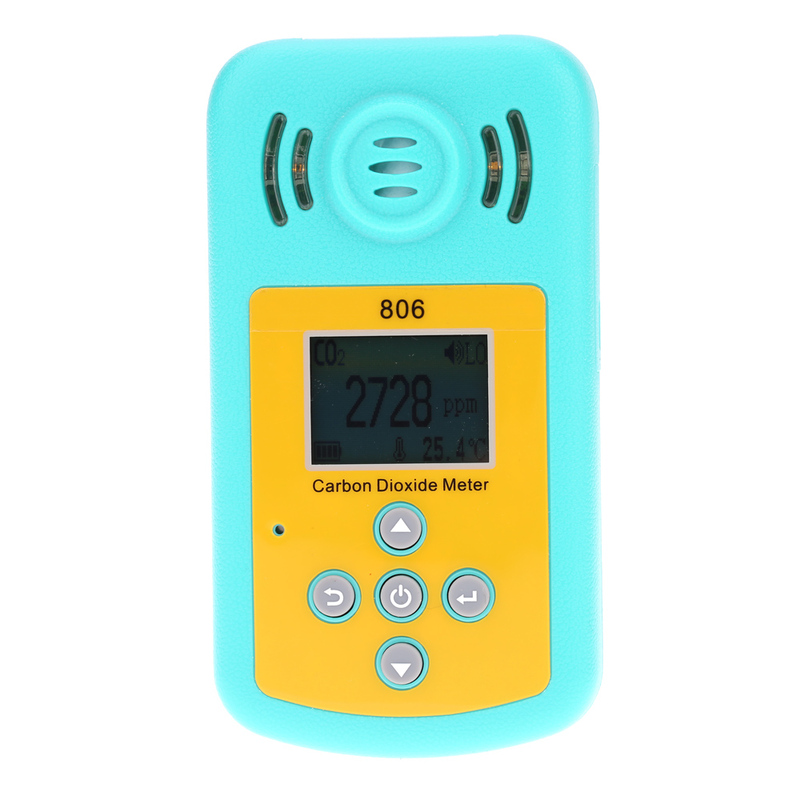 Portable detector for detecting carbon dioxide(CO2). It also can measure temperature in real time. 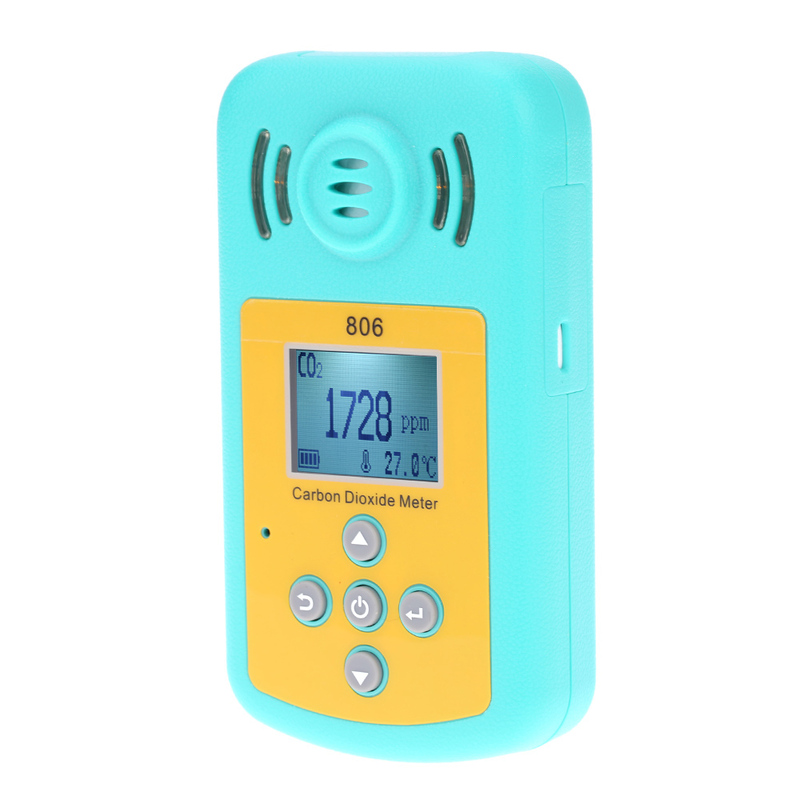 Can continuously monitor the carbon dioxide concentration in the surrounding environment. 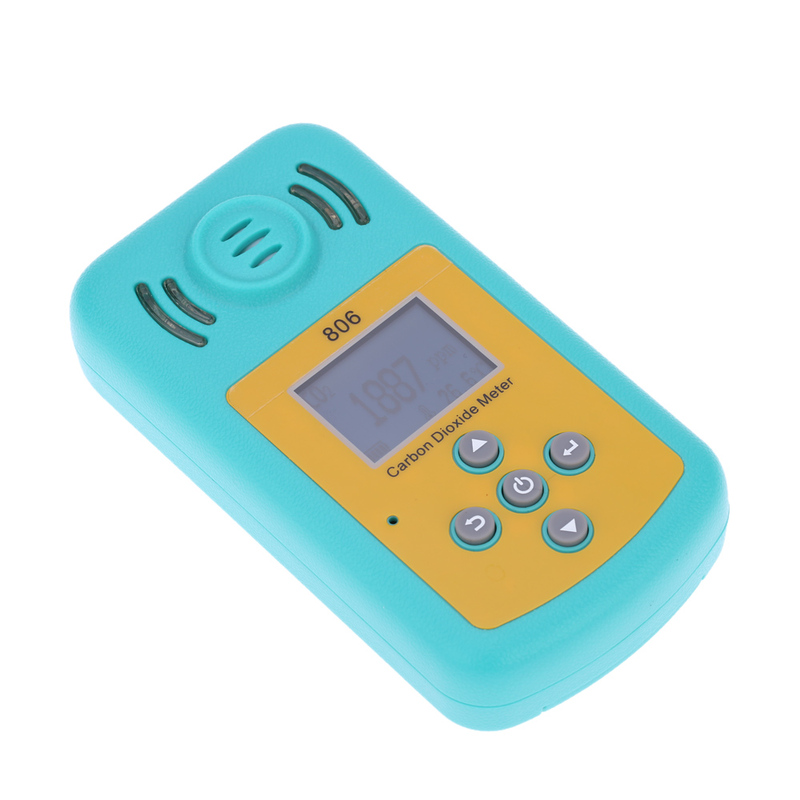 Sound, light and vibration alarm works when concentration reaches the level. 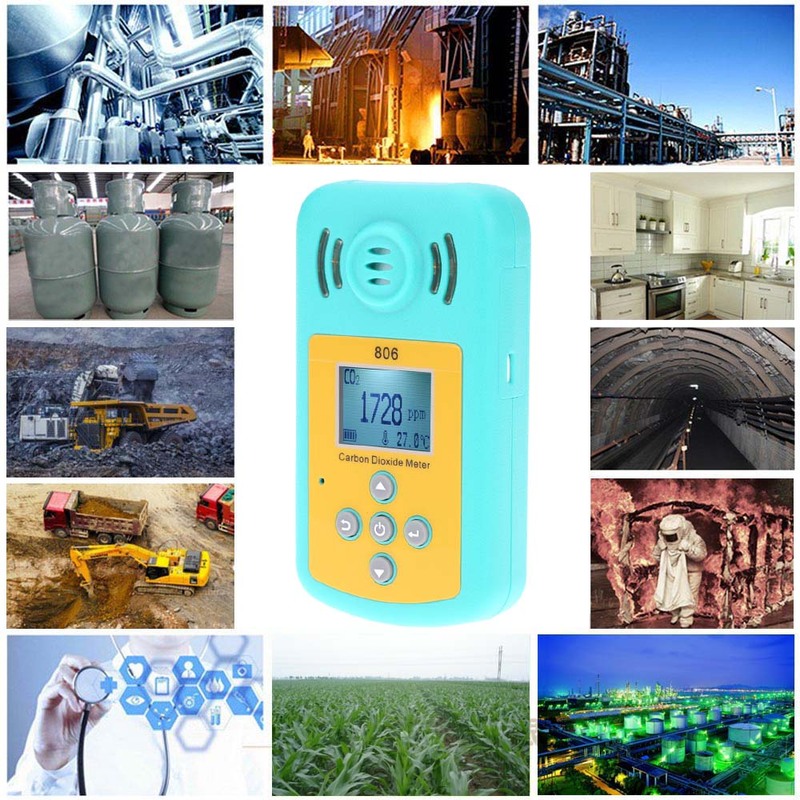 You can set the high and low level of the alarm (default value: low: 2000ppm; high: 4000ppm). Powered by 3 batteries(not included).